TIRASPOL, Moldova — The veteran leader of Moldova's breakaway region of Transdnestr sought to cling to power on Monday, calling for the annulment of an election which his two main rivals said he had lost. Igor Smirnov, 70, who has led the majority Russian-speaking region for more than 20 years, had sought a fifth straight term in Sunday's election, against the wishes of his one-time patron, Moscow. A late-night exit poll had given him a comfortable lead. But by morning, parliamentary speaker Anatoly Kaminsky, 61, who is endorsed by the Kremlin, and lawyer Yevgeny Shevchuk, 43, both claimed that they were first-round front runners and should face each other in a runoff. 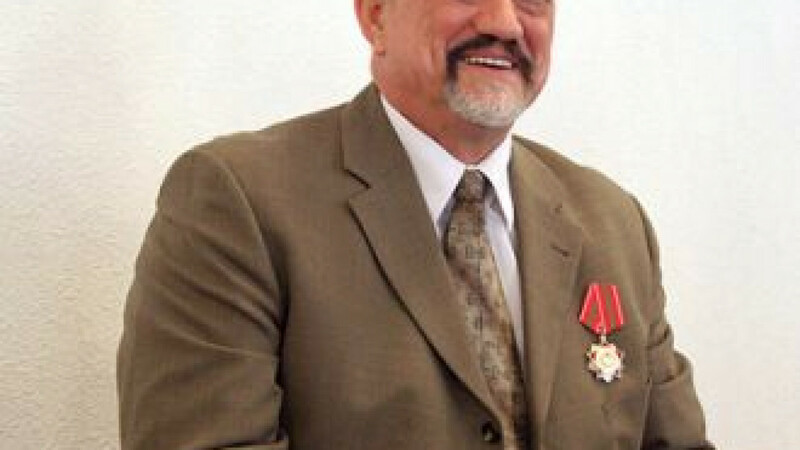 Shevchuk, also a former speaker of parliament, had been seen as a rising star and potential successor to Smirnov but fell out with him in 2009. Election authorities first declared a two-day delay in announcing the outcome, which had been set for Monday. Then Smirnov's camp, apparently sensing their candidate was on the back foot, called for the election to be annulled on the grounds that there had been violations in voting. A ragged strip of land in central Europe that runs down Moldova's eastern border with Ukraine, Transdnestr is the most westward of the former Soviet Union's "frozen conflicts" — ethnic disputes that flared into wars when the superpower collapsed and remain latent and unresolved two decades later. Unrecognized internationally, Transdnestr has been in limbo since declaring independence and breaking with the Moldovan central government after a brief war in 1992. Moldovan and European Union officials say that under Smirnov, the region has become a "black hole" of arms, drugs and human trafficking. Its unresolved status, resembling that of two breakaway Georgian regions that triggered a war between Georgia and Russia in 2008, is a source of international concern and a hindrance to Moldova's ambitions to move closer to the EU. Central Elections Commission chairman Pyotr Denisenko told reporters: "A representative of Igor Smirnov has asked the commission to recognize the election as invalid due to numerous violations." Denisenko earlier told Reuters that voters and candidates had made many complaints about voting irregularities. With 80 percent of ballots counted, no candidate had 50 percent support and a second round of voting would be needed, he said. Smirnov's two main rivals both said Shevchuk had won the first round with Kaminsky in second place, but both men said they would wait for official results to be announced Wednesday. "I don't understand the claims of those in power that the elections were organized and conducted with irregularities. The complaints of the authorities for me are nonsense. The authorities have lost the confidence of people," Shevchuk said in an interview. Though it is unrecognized by Russia too, Transdnestr functions in near isolation by relying heavily on Russian political and financial support and, Moldovan and EU officials say, on criminal racketeering. A fierce proponent of Transdnestr’s independence, Smirnov has set union with Russia as a long-term goal although Russia has held him at arm's length. Apparently tired of his unwillingness to compromise in international talks sponsored by Russia, the United States and the EU, Moscow had urged Smirnov to step aside in favor of Kaminsky. Kaminsky's party is close to Prime Minister Vladimir Putin's United Russia and he drew heavily on his ties with the Moscow ruling elite in his campaign. But Smirnov chose to run, accusing his opponents of planning to sell out national interests and prompting an angry reaction from the Kremlin. Russian investigators last week opened a criminal case against Smirnov's son Oleg on charges of embezzling Russian aid. In November, Russia's Supreme Court barred Oleg Smirnov's wife from running in State Duma elections, saying she had multiple citizenships. The confusion is reminiscent of that in Russian-backed South Ossetia, which cemented its split from Georgia in the 2008 war. Mass protests swept South Ossetia last month as two candidates, one backed by the Kremlin, claimed victory in the presidential election. Moldova regards Transdnestr as an integral part of its territory and has a big stake in the outcome of the vote. Deadlock in parliament has left the country without a full-time president for two years. It will make a new attempt to elect a head of state, which in Moldova is by parliamentary vote not by direct election of the people, on Dec. 16.